This assortment of 6 landscape colors are perfect for hand appliqué. 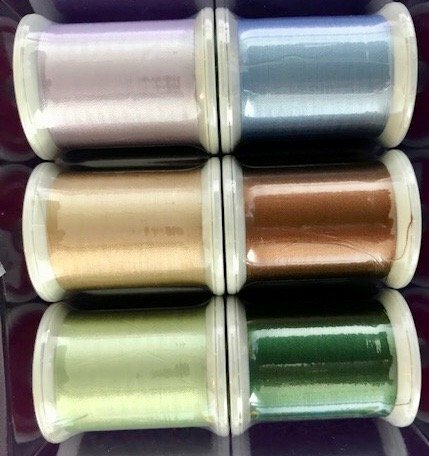 Each spool has 220 yards of the finest Japanese Silk thread. Light green, dark green, light blue, light brown, gray and lavender. Gray and lavendar are neutrals that blend with almost any color.